The All Progressives Congress (APC) in Adamawa State has nominated Mustapha Salihu as Babachir David Lawal’s replacement in the National Working Committee (NWC) of the party. 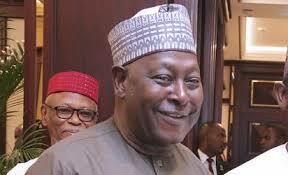 Babachir’s position as the Party’s National Vice Chairman (North-East) has remained vacant since August 2015 following his appointment as Secretary to Government of the Federation (SGF) by President Muhammadu Buhari. In a letter addressed to the National Chairman of the party, Chief John Odigie-Oyegun, the Adamawa chapter of the APC forwarded Salihu’s name for the position of National Vice Chairman (North East) of the Party pending ratification by a convention. The letter was co-signed by the governor of Adamawa state, Bindow Jibrilla, the state chairman of the party, Ibrahim Bilal, and the APC secretary in the state, Sa’idu Naira. The letter partly reads: “Your Excellency, the party Exco, the working committee has met with His Excellency Executive Governor of our State (Adamawa), in line with Article 17 (iv) of the party constitution as amended, we hereby nominate Alhaji Mustapha Salihu as Engr. Babachir David Lawal’s replacement as National Vice Chairman North East zone pending ratification at the mini convention. “Our careful research and ananlysis revealed that Comrade Mustapha Salihu has tremendously supported and contributed to APC in this zone, hence his nomination”. The decision of the Adamawa APC has also been endorsed by leadership of the party in the remaining five states in the zone, namely Borno, Bauchi, Gombe, Yobe and Taraba.